We Pride Ourselves In Our Knowledge Of Auto Body Services And Collision Repair To Get Your Car Back On The Road. At J & M Auto Body, our trusted I-Car certified technicians have years of experience on handling any auto body service and collision repair for your vehicle. 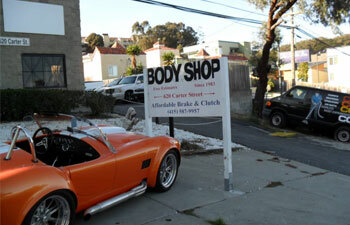 Located in Daly City, CA, our state-of-the-art auto body shop is ready to serve all your car repair and maintenance needs. We take pride in hiring only trustworthy, knowledgeable technicians and staff that mirror our company's philosophy. We want to gain customers that will be customers for life, not just for a one-time service. To keep your business, we know that we must deliver the highest quality service at a reasonable price. 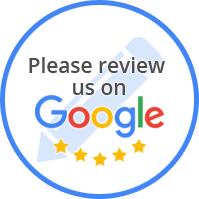 At J & M Auto Body, our goal is to earn your trust and satisfaction by restoring your vehicle to its original performance and beauty. Our technicians are fully trained and have extensive experience in meticulously repairing vehicles to meet their original factory specifications. We stay ahead in our industry by using today's leading technologies. These include computerized estimating programs with digital imagery equipment, and our employees undergo year-round training to keep their skills honed to meet the strictest standards of our industry. We also do restoration on any type of vehicle. As evidence of our commitment to using the most sophisticated technologies available today, J & M Auto Body has been chosen by PPG Paint one of the top manufacturers on the paint industry. The new system is part of our commitment to keep J & M Auto Body “green" for our environment and the safety and health of our employees. When a vehicle arrives at our shop for repairs, we rinse it off in order to inspect the damage. We also begin to disassemble the damaged area to inspect for sheet metal repairs and parts replacement to ensure the utmost accuracy in our estimating process. We'll keep customer and insurance companies informed on the status of the vehicle repairs by phone or email - whichever is preferred. To provide Customers with the most accurate estimate possible, our technicians inspect the vehicle in our drive-up estimating bay. By entering all the relevant data about the repair into our computerized estimating system (Mitchell Ultra-mate), we can generate a report detailing the work needed and the costs involved. We are able to provide mobile estimates if customers are unable to bring their vehicle to our shop. In addition to J & M Auto Body's estimate, a representative from the customer’s insurance company may inspect the vehicle and prepare an estimate. Prior to beginning the repair process, we'll make sure our estimate agrees with the insurance company's figure as well as with the repair procedures needed to fix any damage. At times, a vehicle may be evaluated as a total loss and no repairs will be needed. Occasionally we find additional damage after a vehicle has been disassembled for repair. When this happens, we take photos of the damage and contact the customer or the insurance company to approve any additional repairs. We'll also generate a supplement to the original estimate to cover additional repair costs. We will order any parts needed for the vehicle's repair to make sure they are delivered in a timely fashion. Occasionally, we may need to place a special order for parts which can add time to the repair process. We use a sophisticated Chief EZ- Liner system to carefully and accurately measure (Genesis II), analyze, and align the frame of vehicle to restore it to its original factory specifications. J & M Auto Body uses a computerized paint-mixing system to match your vehicle's paint color perfectly. To ensure the best adhesion possible, we sand down the area to be painted. We use all necessary sealers before painting. Offering life time warranty on all refinished areas. Once repairs are complete, we reassemble any parts that were removed and/or repaired. We then check to verify that the car is structurally sound and ready for delivery. In addition to giving the customer's vehicle a complete interior and exterior cleaning, we test-drive it and do a quality control system check to make sure everything functions correctly and the repairs have been completed successfully. When the car is ready for pick up, we provide copies of all invoices, we also provide any damaged parts that we replaced at a customer’s request, please let us know before work starts. We will answer any questions. Our goal is to make sure you're 100 percent satisfied with our work.